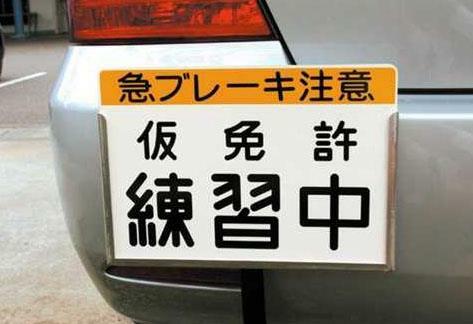 The Japanese learner plate is more than an "L". 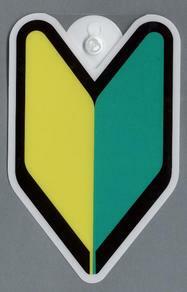 It says in the white portion "Provisional License: ON PRACTICE", then in the yellow part "Beware of sudden braking". I thought of getting my license in Japan since they allow students to complete in two weeks, but after I saw their equivalent of our L plate, I'd better finish it here.